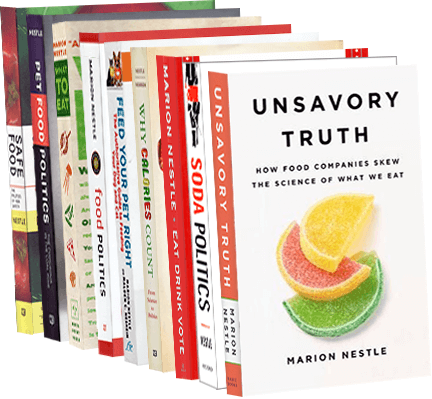 Food Politics by Marion Nestle » International food politics: UK food industry wants more regulation! International food politics: UK food industry wants more regulation! In a move that surprises British commentators, the U.K.’s The Food and Drink Federation is calling for more government regulation. This call is based on a report commissioned by the Federation, Future Scenarios for the UK Food and Drink Industry, which summarizes interviews with food manufacturers, policy makers, civil society representatives, farmers, and retailers, about their visions for the future of the industry. While the most desirable future was one where sufficient resources were available and consumer behaviours had responded to global pressures, manufacturers and retailers surprisingly preferred a situation where more government intervention was necessary. However, all participants recognised that resource demand would most likely outstrip supply unless action was taken. Even more disastrous would be the scenario where there was insufficient government control and a lack of engagement by people; a severe supply-demand gap, resulting in social unrest. Oh. Investment decisions. And preventing social unrest, of course. Consistent regulation? This from an industry that successfully lobbied for removing regulatory power from the Food Standards Agency? As in the U.S., the British food industry wants regulations when they protect industry interests, but strongly opposes those that favor consumer interests.